This project was from last year and I’m only just getting around to posting the pics. Gobi is a Mongolian barbeque restaurant in Brighton. 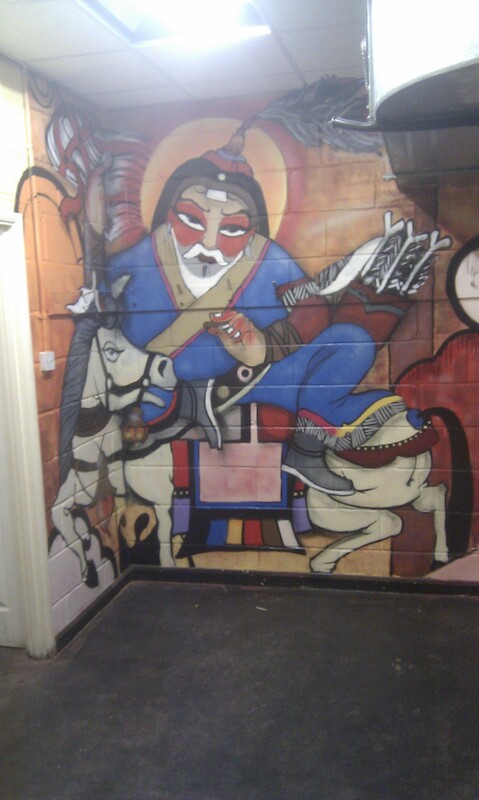 I was asked to come in and brighten up the cloakroom. 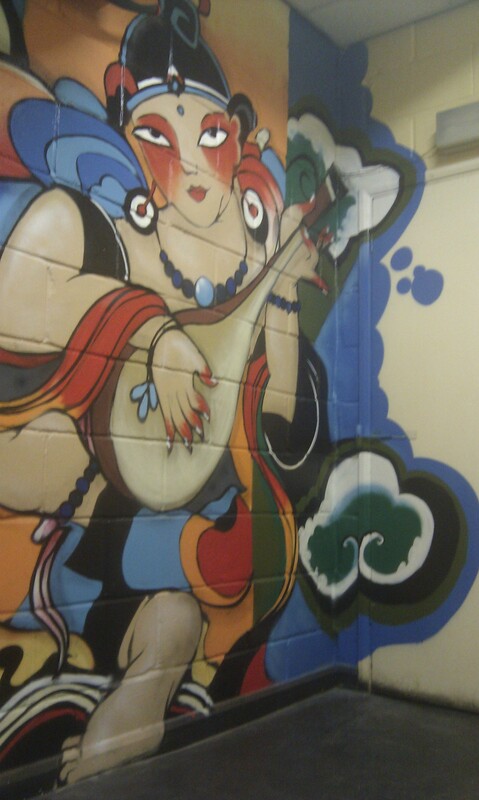 The designs are not my own work, but the work of a Mongolian artist named G.Batchuluun. 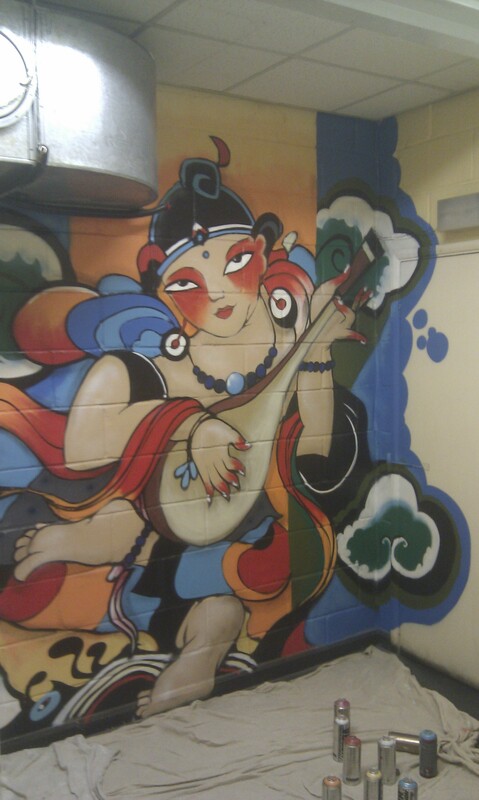 It was interesting to paint in this style as they have a slightly buddhist art style to them. Something that I felt that I explored a little bit more on my travels in India a couple of months after this.